New York State is witnessing an epidemic of opioid-related medical emergencies and opioid overdose deaths, stemming from the use of both prescribed and illicit opioids and heroin. It is critical that New York State uses the full range of medical, psychological, social, and harm reduction methods and treatments to curb this epidemic, reduce harm to individuals and to society, and to treat each person in a dignified and integrated fashion. 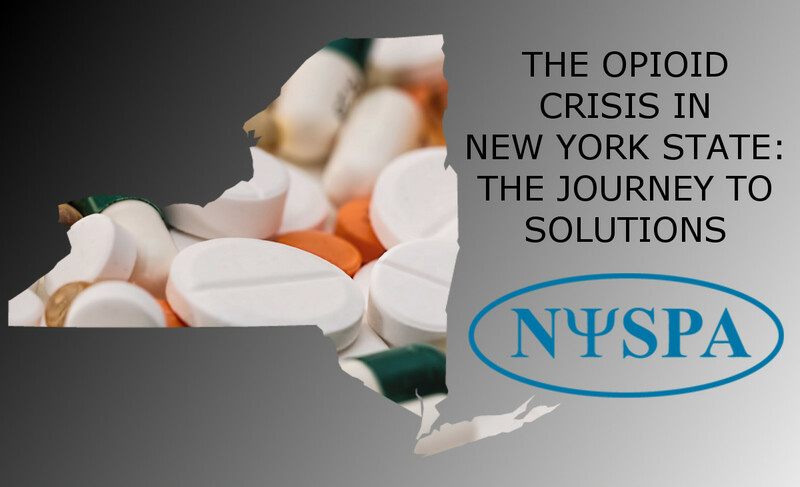 The New York State Psychological Association (NYSPA) Division on Addictions was asked to offer their thoughts about the opioid crisis. Recognizing that addictions are complex disorders that are multifactorial in their origin and maintenance, they did a wonderful job offering suggestions for the opioid crisis from a biopsychosocial perspective that include biological/medical, psychological/psychotherapeutic and social interventions. We are including this in this month’s newsletter because we wholeheartedly agree with these suggestions and wanted to share NYSPA’s work with people who might otherwise not come across it. Provide evidence-based training and education about substance misuse for medical and mental health professionals and students. Require prescriber and patient education about the risks of opioid-based pain medications. Require health care providers to provide referrals to substance use treatment for opioid overdose survivors and patients coming out of emergency department visits, rehabilitation and detoxification facilities. Integrate medical, psychological services and social interventions. Offer referrals for non-pharmaceutical, evidence-based interventions for pain management. Address opioid use in individuals in, and transitioning out, of the criminal justice system. Respect the importance of a harm reduction framework for the entire continuum of care. Solving the opioid crisis will not be easy, but we are confident that a multidimensional approach to this problem will not only save the most lives, but will also help bring about the fastest resolution of this epidemic. Here is the link if you want to read more…it’s incredibly comprehensive.